Is there really such a thing as `Lessons of Life`? Yep, there is! Here are varied experiences of a slightly-quirky guy – and the adventures lived, and the lessons learned. The insights are impactful – and the laughs are many. It is a kaleidoscope of life, and the many varied experiences are some that you will be able to identify with – easily. You, without a doubt, will gain some additional perceptiveness - and different ways of looking at things – after going through this mini-book. The new unique approaches to `challenges` will be a tremendous advantage when you face those inevitable setbacks. The book is packed with inspirational messages, along with visual reminders – that life is to be lived – not just endured. You will gain insight from this 1st time author’s entry into the literary world – and get some belly laughs along the way. And, there are surprising topics – some of which you may find of such interest – that you will explore them. These are Insights presented in a (mostly) funny, lasting way. This book was written as a result of my sister saying one day, “You know that to have lived for over 70 years, we must have learned something! That got me thinking: I was raised in Hawaii – before it was a state; I lived in France for two years as a young man; I have been thrown off a train in Germany in a small town – in the middle of nowhere with no money, and no German language skills; I have been to 16 countries, and about a dozen islands; I taught English on a Greek island for a few weeks – and did so having absolutely no experience as a teacher; and actually had surgeons laughing during a heart procedure. 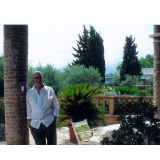 I have been married for 49 years (same woman – poor soul) and have lived from counting quarters to go to McDonalds – to having meals in Paris, Rome – and Athens - -- and then back to McDonalds! You know, I would have to have been a moron not to learn certain things along the way! Now, assuming you are younger than I am – the odds are pretty good that you can learn something from my experiences, and rambling. I actually think you can! You have nothing to lose! Well, $7.00 something, I guess. Heck, you can lose that by buying one greasy hamburger – and a coke - that is no good for you anyway. Give me a shot! I’ll bet you will get some laughs, and – who knows – maybe a little insight. Go ahead! Would you rather make your own dumb mistakes in life - and suffer the consequences? Or would you rather learn from the author's mistakes - and profit from them? Lessons are powerful. He combines character, commitment to mission, inclusiveness, humility, and selflessness to a greater degree than in any other book I have read. This is a wonderful to read and inspiring book by a truly great writer. It will leave an impression for a long time to come. I am inspired. Life is a journey, not a destination. Loved this book and found it to be inspiring. It reminds me that simple acts of kindness can make a huge difference to making people feel valued, loved and special. 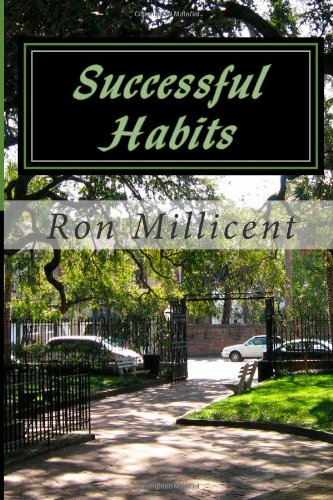 I highly recommend this book and will read more from this author, Ron Millicent. A small book with everything I was looking for. It relates real experiences and injects humor and even wisdom. Always presented with humor and warmth. I am glad I found this gem! !